A symposium titled, "Touch in Infancy" was held to celebrate the opening of the first Touch Research Institute in the world. Although touch is the largest sense organ in the body, it is the one that had been the most neglected and the only one to just recently have a research institute. Designed to conduct basic research on touch and on the skin, the institute will work with wellness programs such as massage therapy and other kinds of touch therapies to facilitate better health and to treat various diseases. The institute's opening symposium featured presentations from several of the world's leading experts in infant development. 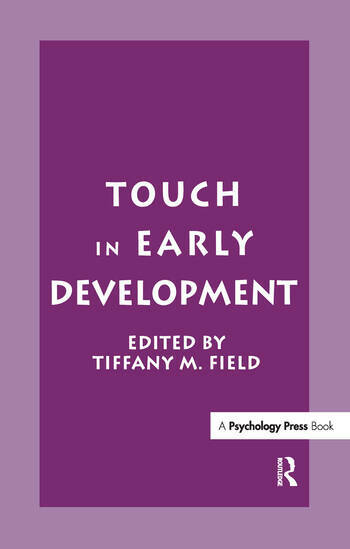 Published in this volume, their work addresses the relevance of touch to the neonate's well-being. Contents: Preface. A. Montagu, Animadversions on the Development of a Theory of Touch. T.B. Brazelton, Fetal Observations: Could They Relate to Another Modality, Such as Touch. M.H. Klaus, Touching During and After Childbirth. G.C. Anderson, Touch and the Kangaroo Care Method. E.Z. Tronick, Touch in Mother-Infant Interaction. S. Schanberg, The Genetic Basis for Touch Effects. M. Leon, Touch and Smell. S.J. Suomi, Touch and The Immune System in Rhesus Monkeys. T.M. Field, Infant Massage Therapy. "Among the contributors to this volume are...scholars whose well-known works in anthropology, pediatric medicine, neuroscience, neuropsychology, and massage therapy bring depth to this discussion."